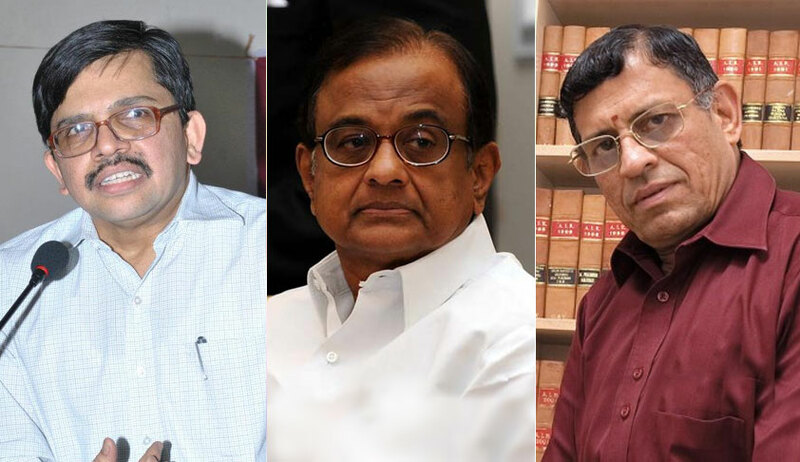 The Delhi High Court on Monday took suo motu congnizance of “innuendo-laden tweets” posted by journalist Swaminathan Gurumurthy questioning the credibility of Justice S Muralidhar, who was on a division bench with Justice IS Mehta which granted interim protection to Karti Chidambaram from being arrested by the Enforcement Directorate in the INX Media case. The bench of Justice Muralidhar and Justice Mehta on Monday took cognizance of the tweets made by S Gurumurthy, the editor of magazine ‘Tughlak’. The bench had, on March 9, granted Karti, son of former Union Finance Minister P Chidambaram, interim protection after he withdrew his plea from the Supreme Court and moved the high court apprehending that he would be arrested by the ED as soon as his CBI’s custody comes to an end. Gurumurthy’s twitter handle has 2.59 lakh followers. “The above innuendo-laden tweet of Mr Gurumurthy triggered an avalanche of reactions from those following him on twitter. Many of the comments, which are not worth reproducing, while reacting to the misinformation, scandalised the Judge presiding over this Bench and questioned the integrity of the judiciary as a whole,” noted Justice Muralidhar. Justice Muralidhar went on to say, “Being the editor of a magazine that has a wide readership in Tamil Nadu, had Mr. S. Gurumurthy cared to check, he could easily have ascertained that the presiding Judge of this Bench was a junior of Mr. G. Ramswamy, who then was the Additional Solicitor General of India and who later was the Attorney General for India. At no time did the presiding Judge work as a junior to Mr. P. Chidambaram, Senior Advocate, the father of the Petitioner. It is unfortunate that despite some of the tweets in response clarifying the correct factual position, Mr. Gurumurthy chose not to withdraw his mischievous and false tweet”. However, after the order, the tweet was pulled down by Gurumurthy who then tweeted, “I understand Justice Muralidharan called both side lawyers & told them that he was never PC junior. He felt sad judges have no protection against social media wrong news. Judges need it. I have deleted the tweet asking whether he was PC junior”. Justice Muralidhar said he chose to take suo motu note of the tweet since he wanted to place on record correct facts. ASG Tushar Mehta told the court that such tweets are “best ignored”. While the court acknowledges that such tweets that spread false and scandalous information are, as pointed out by Mr. Tushar Mehta, learned ASG, “best ignored”, this twitter handle of Mr. S. Gurumurthy has 2,59,000 followers. Misinformation on social media unfortunately spreads like wildfire. The court, therefore, considered it necessary to place on record the correct facts. Without ordering any action, the court left it to the ASG and the Bar to see if such tweets call for any action. “While a fair and informed critique of judgments and orders of the Courts is welcome, it is for the learned ASG and the Bar to consider whether such tweets call for action in accordance with law”.